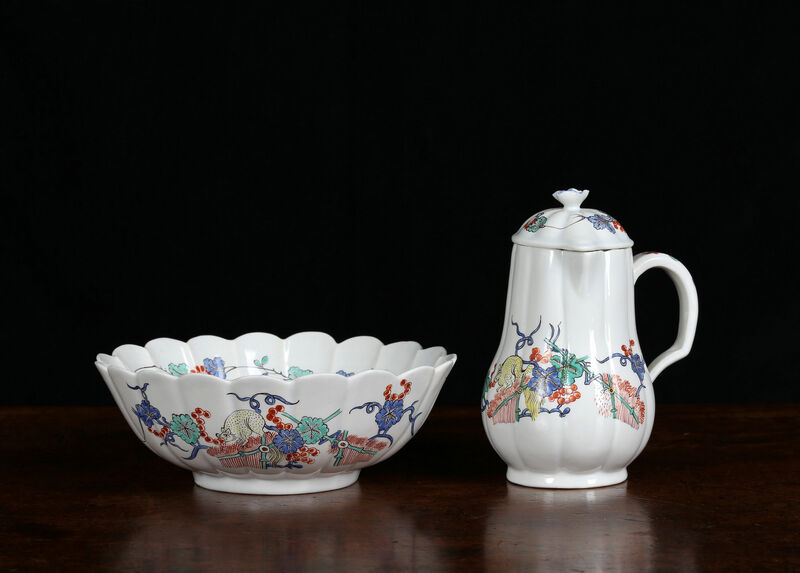 The jug and the bowl are of lobed form decorated in Kakiemon style with a squirrel on a banded hedge with flowers and tendrils. 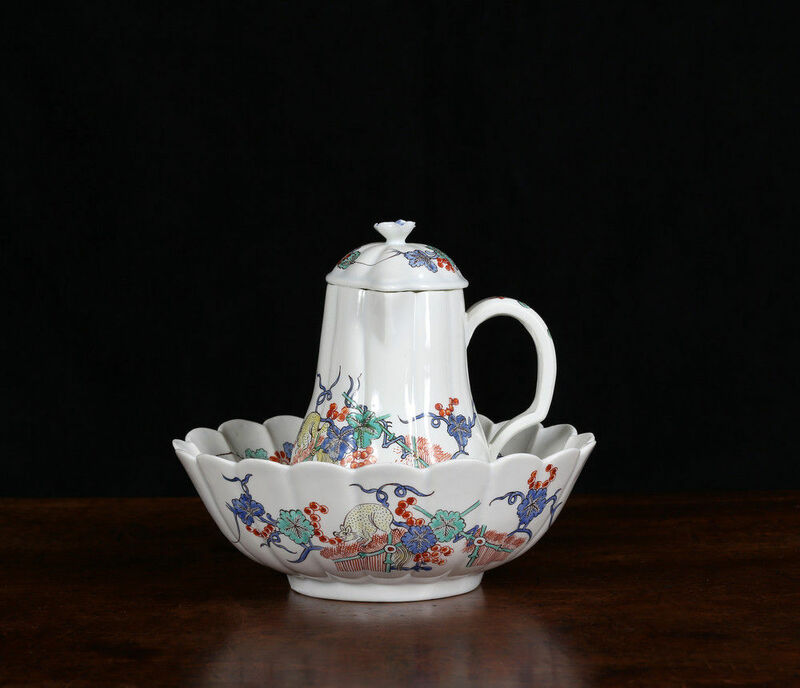 The lid with sprigs of flowers and a flower finial. 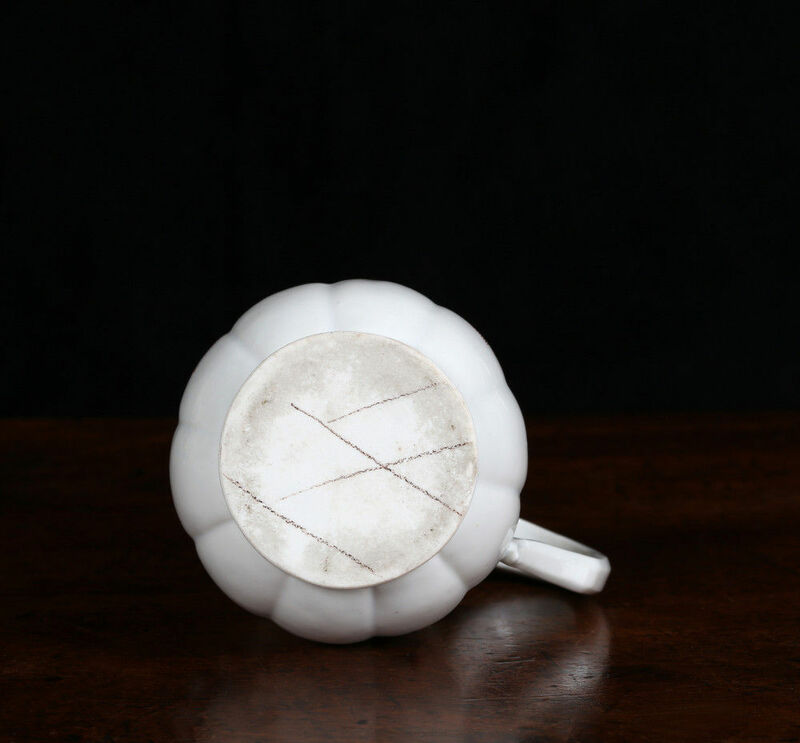 The handle of the jug applied at right angles to the spout. 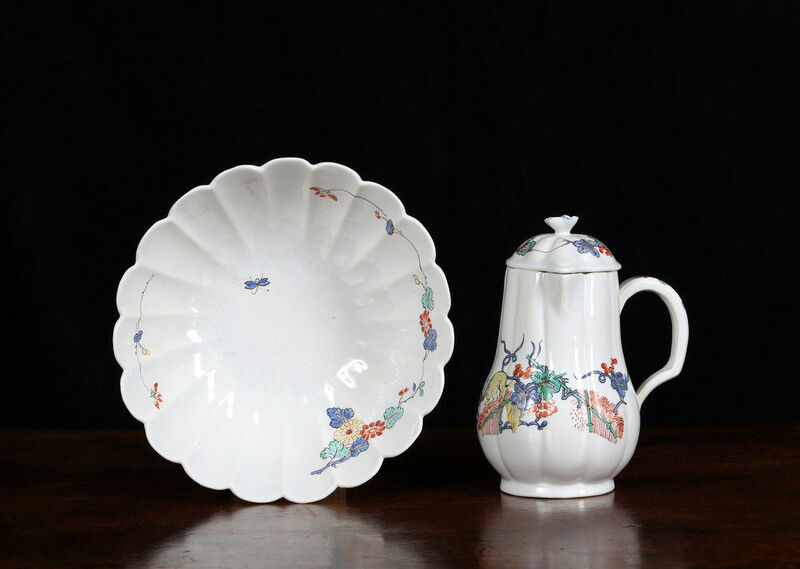 These forms exist as separate elements in a tea service but can also be used in conjunction as a small ewer and basin. 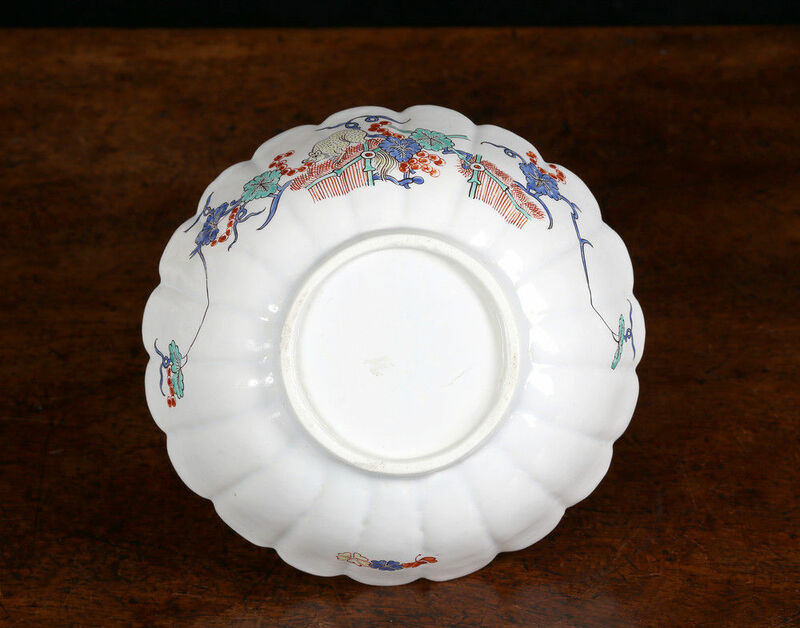 The form of the bowl derives from Chinese chrysanthemum-shaped dishes via Japanese Kakiemon.